As the title says, for $10 you can get yourself a fantastic Werewolf game set, and it’s all thanks to Cards Against Humanity creator Max Temkin’s Kickstarter project (which was funded in just a few short minutes). “Werewolf is based on the game Mafia, which was created in 1986 by Dimitry Davidoff, a psychology student in the USSR. In 1997 Andrew Plotkin added the Werewolf theme and documented the rules. Werewolf has gone on to become a staple of tech conferences and gaming conventions, and many players, including myself, consider it to be one of the most difficult and elegant games ever created. So Max is making his own set of simple, affordable, beautiful Werewolf cards. Each set comes with 20 cards in a custom zipper case, with a keychain loop so you can hook on to your backpack. For more info on this game and the project head over here. 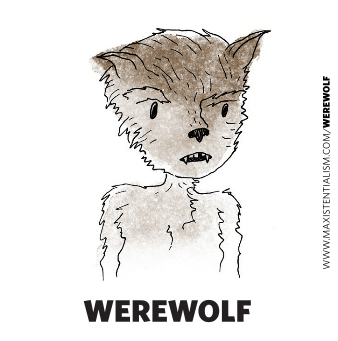 And to get your own set of Werewolf cards just go to the Kickstarter page and donate $10. Easy. Anyone planning on getting a deck?